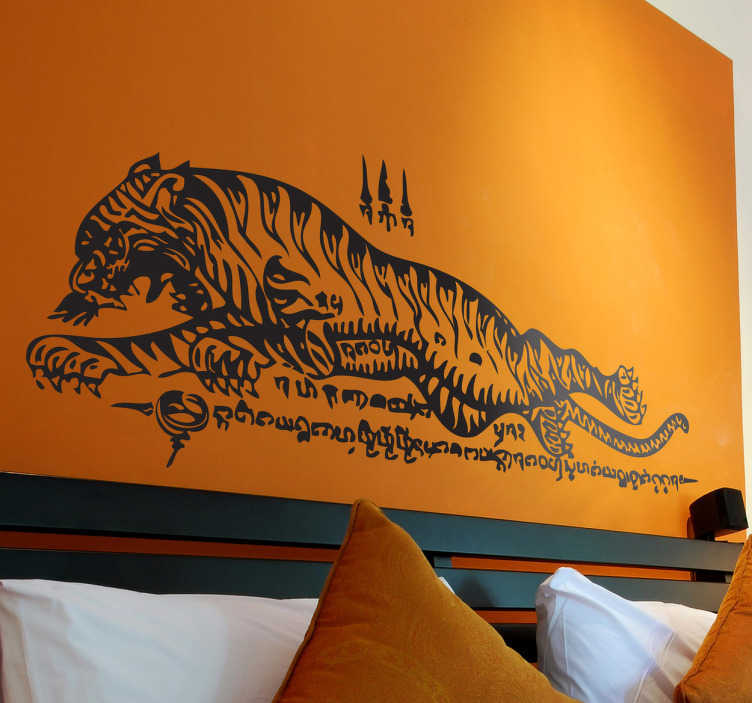 Wall Stickers - An Asian oriental Thai style illustration of a tiger. Distinctive feature for your home or business. Available in various sizes and 50 colours.